If you are reading this, you would probably have some idea that both these products Benefiber and Metamucil are fiber-based weight loss supplements. So we believe that you are here only to find answers, like “Are these supplements effective?”, “Are they value for money?”, “Are they safe to use?”, “What are the ingredients?”, “what’s the optimal dose?”, “Are they useful for weight loss?”, and so on. 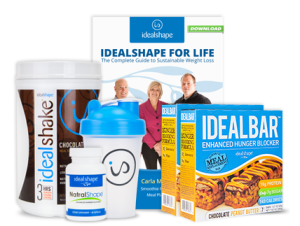 Well, if you will read this review until the end, you will find answers to all the aforementioned questions, including our verdict on whether you should be using these fiber-based weight loss supplements or not. Note: We won’t be doing a side-by-side comparison both products don’t have a lot in common except that they are fiber supplements. Before we begin with the comparison of Benefiber and Metamucil, watch this explainer video of what fiber is and what it does in your body. Benefiber vs. Metamucil: What is Benefiber? Benefiber is a dietary supplement that supposedly improves your digestive health and curbs your cravings just by its two servings per day. The one benefits of using Benefiber is that it’s easily available and comes in convenient easy-to-use packets. Novartis, the pharmaceutical giant behind Benefiber, is not a name that you cannot trust. However, it just seems like that this company also couldn’t help but capitalize on the weight loss industry by introducing something that’s apparently not harmful but also does have a little benefit. 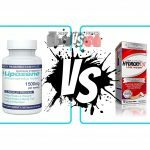 We want to make it clear none of the two are weight loss but rather fiber supplements and they are mainly used by people who want to increase their intake of fiber. Not so interestingly, Benefiber is just made out of a single ingredient, and that is, wheat dextrin, an ingredient that’s easily available and that too for a fraction of the Benefiber’s cost. Unless, you are thinking of keeping up with your fiber intake, Benefiber won’t really be helping you with your weight loss goals (it’s true that fiber curbs your craving to some extent and may even induce a little weight loss because it slows down the absorption of nutrients in the colon, but the difference that it makes it just marginal). And if you have been thinking what exactly is wheat dextrin, it’s a form of fiber that’s extracted from wheat starch and is used in many foods to improve their fiber portion. It’s also used to reduce cholesterol, specifically LDL. Wheat dextrin can also reduce blood sugar, but we don’t know if you would be happy to hear that unless you are diabetic. Wheat dextrin itself isn’t gluten free in most cases, but according to the nutritional label on Benefiber, it’s actually gluten-free with having just “traces”, or more precisely, 10 ppm of gluten. The fact that The Food and Drug authority hasn’t proposed any law that governs how much gluten is allowed in a product to label it as “gluten-free”, many companies are selling their products labeling them as “gluten-free” even when they aren’t. No, we aren’t saying that Benefiber isn’t gluten free but we don’t want you to believe that it’s 100 percent gluten-free. According to Novartis, Benefiber is a clinically proven dietary supplement. However, on their website, you won’t find any supporting literature that it could do something more than just slightly suppressing your hunger. So, we would really just pass what Novartis has to say about their claims. And if you have been looking for the “science” behind this supplement, we have already made it clear to you how much a fiber supplement could help your weight loss goals. How long does fiber take to work? Only if it had worked for weight loss, we could have told you that. So, we would just pass this question too. Does Benefiber make you go to the bathroom? No, it’s, in fact, the exact opposite of that. Benefiber can cause constipation because of the fact that Benefiber pulls out the water from your colon to create a bulk and if there’s not enough water present, it could lead to constipation.Therefore, it’s recommended that you take at least 8 ounces of water with each dose. Benefiber vs. Metamucil: What is Metamucil? 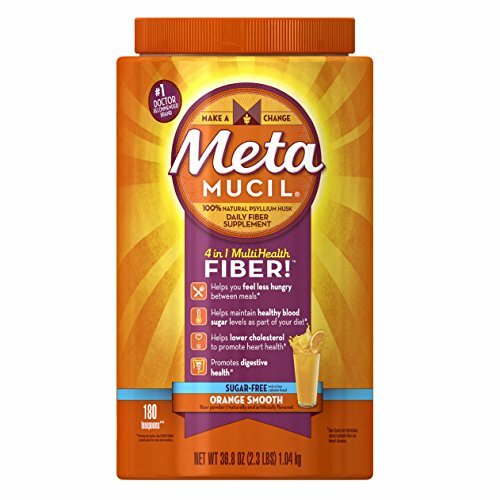 Metamucil a dietary supplement made out of fibers, minerals, and vitamins. The supplement is suggested to those who want to improve their intake daily intake of fiber. Supposedly, Metamucil is meant to improve your intestinal health and make you feel satiated. Metamucil has been on the market since 1934 and is available online and in grocery stores too. What is Metamucil used for? Metamucil is a fiber supplement that’s made for those who want to improve their fiber intake. Fiber itself helps the body by improving the intestinal health and makes you feel a lot fuller than you actually are, so you end up eating less, which means, lesser calorie intake. What are the Metamucil ingredients? 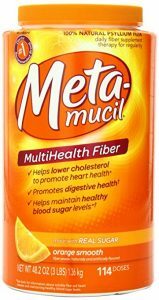 Metamucil comprises of vitamins, minerals, and psyllium husk (as its fiber component). You can get Metamucil in a mix drink or capsules form. Does Metamucil have side effects? On the paper, Metamucil is safe to use, but the consumers still have reported some side effects which is a concern for many. For instance, one user reported having bloating, severe stomach pain, nausea, and gas pains from using Metamucil. Others have reported cramps that could last for 20-30 minutes. The issue with Metamucil is that it may be effective with what it promises, but it’s the aftertaste and side effects like cramps, gas pains, bloating, etc. that could really put anyone off it, too soon. But if you are planning to improve your fiber intake, start out with a low dose and gradually increase it to the recommended daily dose of 25-30g. What is the best time to take Metamucil? You can use Metamucil at any time of the day but if you are just getting started, we would suggest you not to take it before going to work or when you have to go out. Moreover, make sure that you are drinking at least 8 ounces of water with every dose. How to take Metamucil for weight loss? Well, Metamucil isn’t really a weight loss supplement and nor its endorsed as one. It’s just a fiber supplement and we have already stated a few times above what fiber can do for your body. The satiety, that one feels due to fiber intake, could encourage regularity and some weight loss for someone who is on diet, but not for everyone. Also, remember that Metamucil is a fiber laxative that creates the bulk of the stool necessary for it to easily pass through the body. How long does it take for Metamucil to work? If you are going to use it as a weight loss supplement, we suggest that you don’t. It’s not a weight loss but just a fiber-based supplement. But if you want a healthy gut, we won’t tell you not to use it either. Benefiber and Metamucil aren’t really weight-loss supplements, so we would encourage you to know this categorically before using them. They are fiber supplements that could help you get a healthier gut as already told a few times, so if you are looking for a fiber supplement, Benefiber seems like a better option because it doesn’t leave you queasy with a bad aftertaste. It’s definitely pricier, but it’s better to have a supplement that you can have every day and won’t leave you with cramps in your stomach and tears in your eyes.